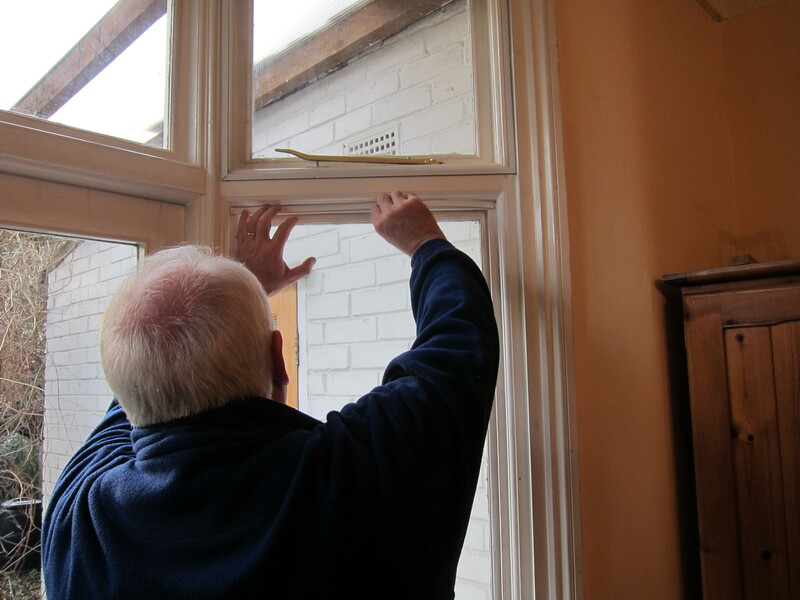 It was a packed house on a January Saturday afternoon in Hanwell, for a hands-on session installing secondary glazing panes to shut out the draughts and the cold. What is secondary glazing? For those of us who can’t afford double glazing, our version of secondary glazing uses acrylic panes fixed with magnetic strips. Secondary glazing is suitable for older homes and doing it ourselves keeps costs down to between £100 and £150 for a set of bay windows. We learned through sustainability groups in North London that 3.3 mm thick acrylic panes fixed with magnetic strips are the most practical solution. Window frames have to be sanded to make a rough surface on which the magnetic strips stick. The acrylic panes are cut to size at the factory and fit inside the frame snugly. Once the preparation had been done ahead of time, our gung-ho workshop participants helped cut the magnetic strips, stick them down onto the window frame and insert the acrylic pane. The panes can easily be removed any time. The rooms with the fitted acrylic panes already feel warmer. This idea should help relieve some of the dire fuel poverty in Ealing, or at least save us some cash and reduce carbon emissions. In the meantime, and to reduce costs further, we’ll soon be placing a bulk order for the material for the next installations. The next workshop will be held in Hanwell, W7 on Sunday 23 February, at 2 pm; please contact Andrea if you are interested in taking part, or would like to know more about this energy-saving technique.